I am so happy and so blessed and so thrilled with my life that when I start to think of wish lists, I have to admit to feeling a little greedy. I mean we aren’t perfect and we aren’t loaded, but as lives go, ours is pretty dang sweet. Still, it’s fun to think about what I think would make life easier and maybe a little more fun. I know I don’t need these things, which is why it’s called a wish list. A girl can dream right? A Keurig – I drink way too much coffee for one of these to ever make sense in our home. But man it would be so nice to have my coffee at the push of a button! Maybe I should dream bigger and just have a personal barista. iPhone 5s – They’re commmmming. I love my iPhone 4 but it’s starting to show its age. I am watching the announcements for the newest version and crossing my fingers! Cleaning service – I keep saying I am going to have the house cleaned, you know “just once” so I can get back to living my life instead of wallowing in guilt and shame for the condition of my floors. But then I think about all the pre-cleaning I would have to do to hire a cleaner to do the real cleaning and boy…I get real tired. A tan – Chalk it up to summer, my Florida heritage or my alabaster legs, but I just WANT a tan. A REAL TAN. From the sun. Beating on my skin until it turns brown. No lotion. No spray. No beds. Just sunshine. Sigh. Stupid health. 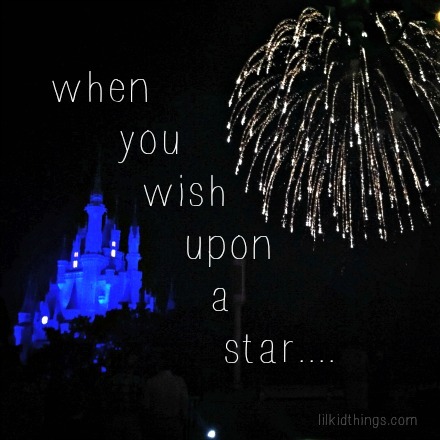 Unlimited Disney visits – need I say more? Unlimited Skymiles – For our Disney visits and our everywhere else visits. The whole family gets this one. I’m not a monster! Also, free hotel rooms and event tickets. I mean really. Is that too much to ask? I agree! We definitely need a bigger one. Just not sure what we want yet.